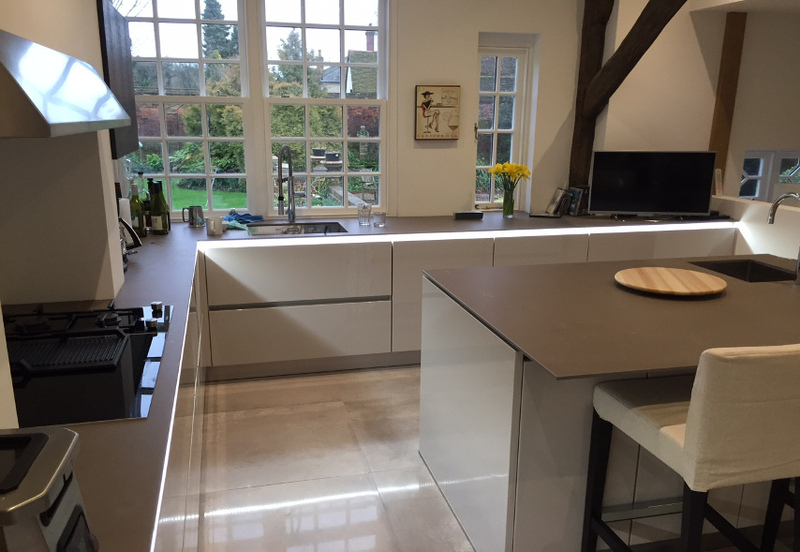 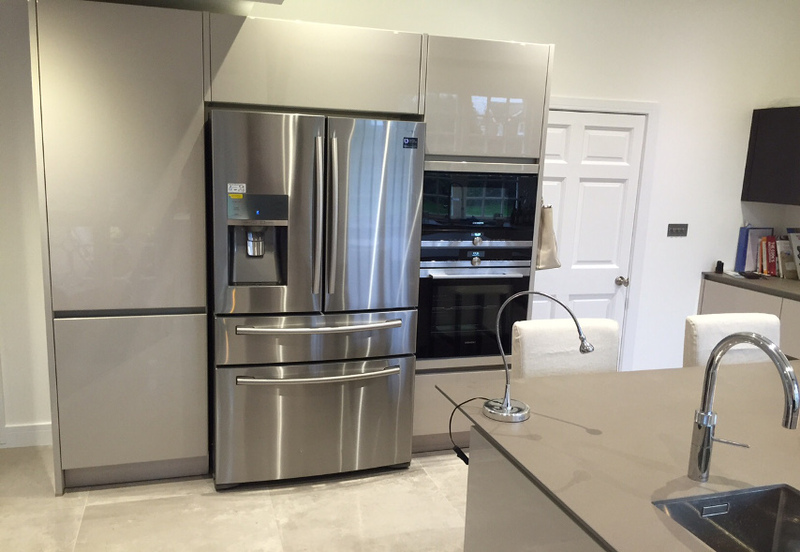 Our thanks go to Trevor Conway of Herts for sending us these great looking images of his completed Next125 kitchen from the end of 2015. 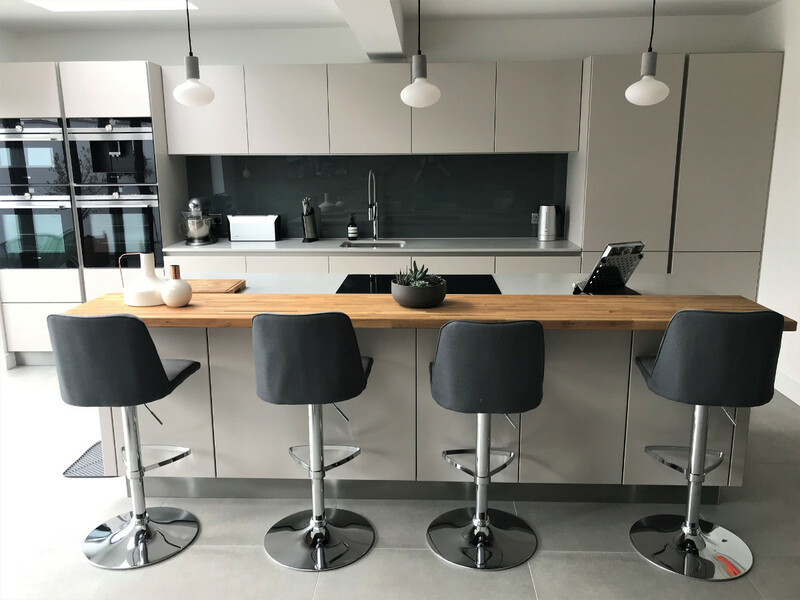 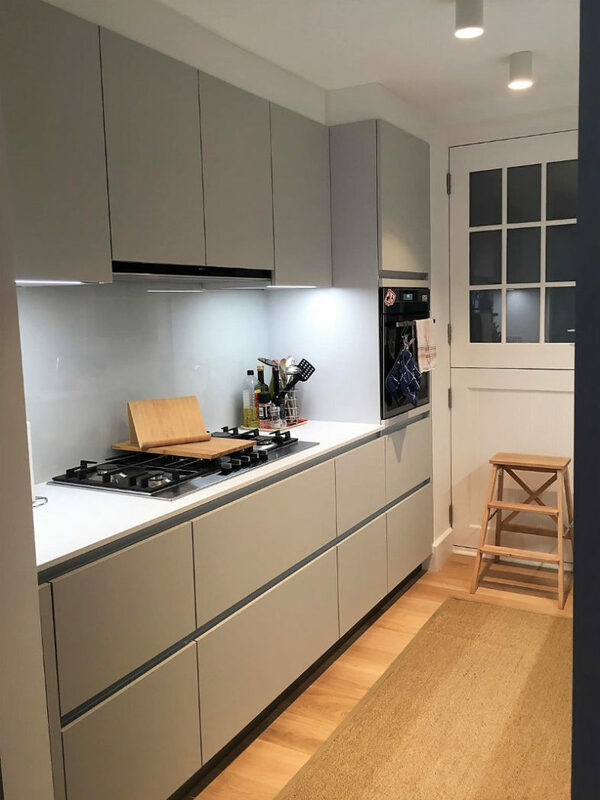 Trevor chose Sand grey high gloss lacquer finish for his base units and island combined with Oak Tobacco wall units at 625 mm high. 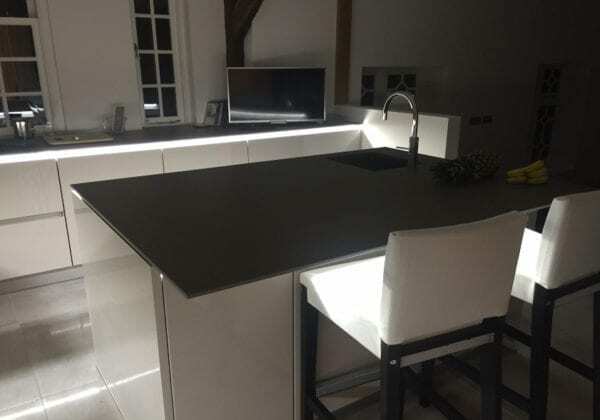 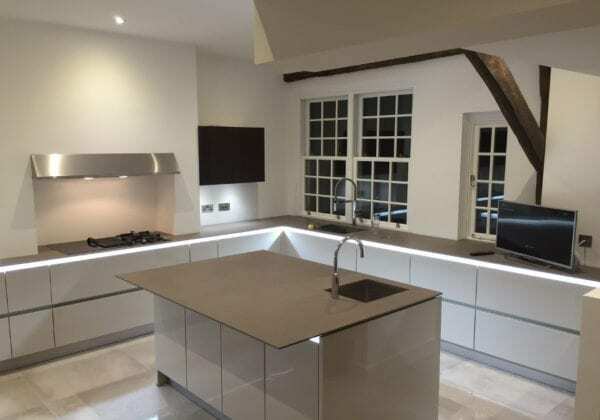 The worktop has a 300 mm overhang and is made from Ceramic slate and compliments the unit colour really well.